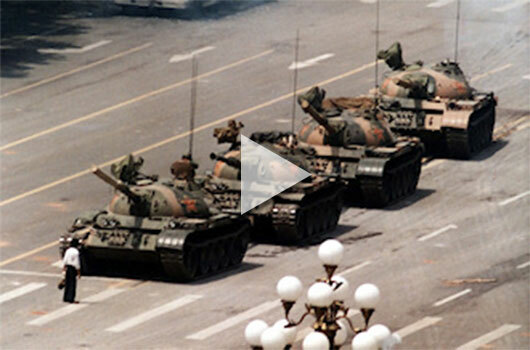 Twenty five years have passed since the events of 1989 in Tiananmen Square. Sue Smith's new play, Kryptonite, follows the lives of an Anglo-Australian man and a Chinese-Australian woman across those very 25 years. It is a love story of our time. The extraordinary, shattering images and sounds of the 1989 Tiananmen Square protests and massacre are still as viscerally engaging and moving now as they were then. Here we see them, as captured by frontline journalists. First broadcast 4 June 1989, the BBC's Kate Adie reports from the scene. The morning after the massacre, photographer Jeff Widener captured the iconic image of a man stopping a tank column from progressing down Chang'an Avenue. Here, he recalls the events that led up to this. For more photographs from the protests, see this article from The Atlantic. 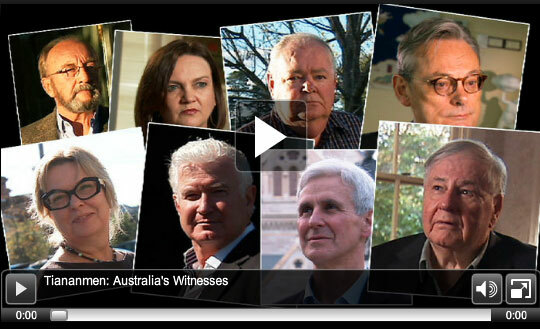 ABC's Stephen McDonell interviews Australia’s witnesses to the events of Tiananmen. In this episode of Foreign Correspondent from June 2014, key Australian Embassy staffers are assembled for the first time to give their accounts of what happened.